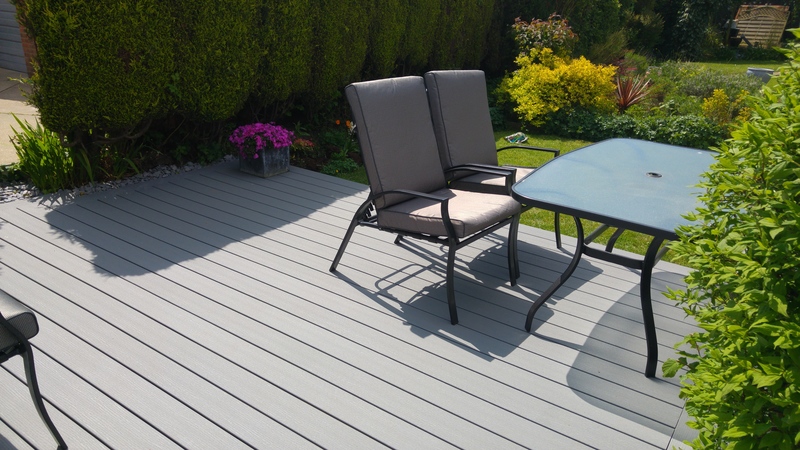 We have been stocking Trex Contour composite decking since April and have had a lot of interest in it, resulting in a number of sales. The attached photo shows what can be achieved in transforming a garden and decking area. Here Pebble Grey Trex Contour was used and the result looks fantastic! The beauty of Trex is that is is virtually maintenance free, comes with a 25 year guarantee for residential use and has credible environmental qualities as it is made from recycled plastic and sawdust. For more information on Trex call our sales team on 01472 350151 or have a look at our web page which is dedicated to Trex.